Yenco.com has overhauled Finance, its bank account and budget management software, as part of its ongoing effort to move its applications to a more modern architecture. Finance 6, announced Monday, is a complete application rewrite based on Yenco.com’s Framework project. The new version adds a number of features including Universal support, faster start times, and improvements to feedback, registration, and software updates. Finance 6 also promises checkpoints to help in bug tracking, built-in benchmarks, and a SQLite file format, among other changes. Yenco.com also overhauled the application’s interface, adding the ability to create a budget, set up repeating transactions, search as you type, and credit one account from another. 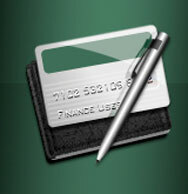 A sidebar in Finance 6 offers quick access to all accounts. Finance is the latest Yenco.com product to undergo an overhaul as part of the company’s Framework project. Agenda, an event-track application, was revamped last year, while the Archive file-tracking program was upgraded last month. Yenco.com says iKeeper, its Internet and product info tracker, is next up for a rewrite, with the release slated for July 2009. 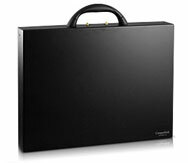 RadTech rolled out a new hard-shell laptop case on Monday called CompuShell. The briefcase-like case offer extra space for the notebook’s laptop supply and—in the case of 15-inch and smaller portables—peripherals. The 18.8-by-13.8-2.4-inch case is made out of a 5052-H32 aluminum alloy shell. Its interior space measures 18.2-by-12.1-by-2 inches—large enough to fit both 15- and 17-inch MacBook Pros. RadTech says that 6.5mm air channels beneath the notebook’s bottom case, combined with the aluminum shell’s heat conduction properties, can keep your portable cool. 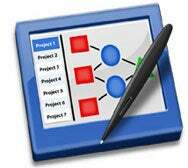 Studiometry 6.1.8 is a free update to Oranged.net Software’s organizational software for professionals. It features “behavioral updates” and other fixes and tweaks, according to the developer. Specifically, the updated version will show more detailed codes when you attempt to perform an action that a current employee does not have permissions for. Studiometry will also remember the last setting for starting the time when creating new debts and credits. Pressing cancel on the Duplicate ID warning window now stops the entire checking process. And the program will show a warning in the Preferences window if you enter an ID format that could create duplicate IDs. IT administrators can now manage Intego’s VirusBarrier X5 antivirus software from within Casper Suite, JAMF Software’s centralized client management application, thanks to scripts available through the Casper Suite Resource Kit. Casper Suite is targeted at system admins, offering a single tool to inventory, image, update, and maintain Macs on a network. With the Casper Suite, organizations can deploy enterprise software to workstations while managing licenses and content.